One of this years prices went to a fake “documentary” about a fake “rescuer” group which makes and distributes fake videos, staged photos and fake victims of the war on Syria. 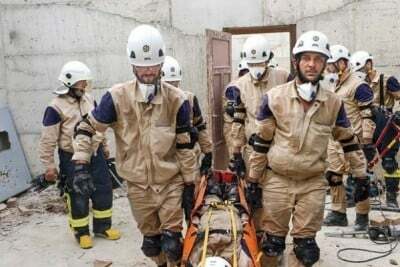 These al-Qaeda propaganda sidekicks, the White Helmets, are a British disinformation operation that is financed by more than $100 million of U.S. and UK taxpayer money. Its general task is to convince the “western” public that the war on Syria is justified because of the “cruelty of the Syrian government” which the fakes intend to establish in the mind of its consumers.